OLD PARKED CARS. 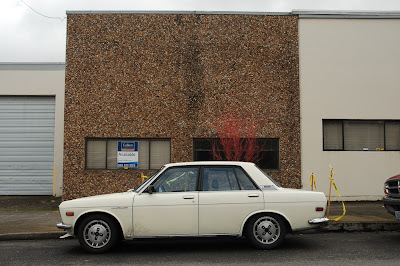 : 1972 Datsun 510. Loving the alloys (early 80's Maxima maybe?) and that giant chin spoiler is...interesting. 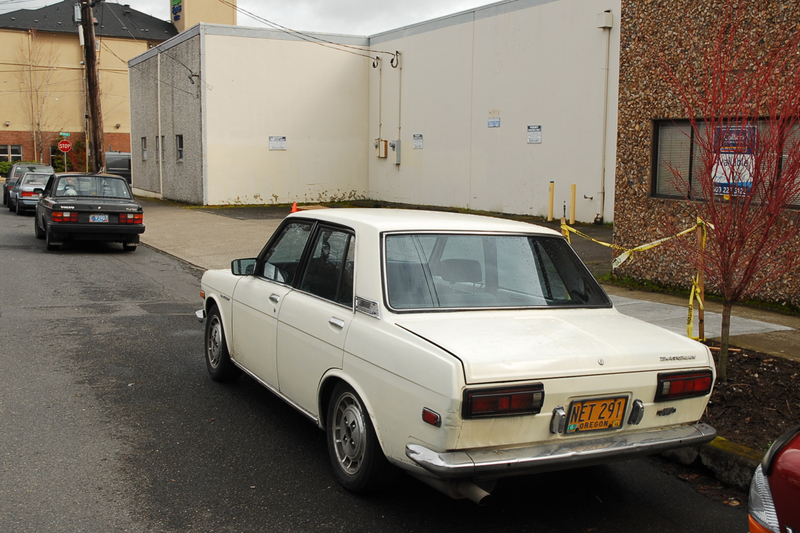 Cool to see an otherwise original-looking 510 sedan though. Yup, those are off a first gen Maxima. Looks very good with them, I gotta say. yeah, it's not stock, but you hardly notice the custom touches. 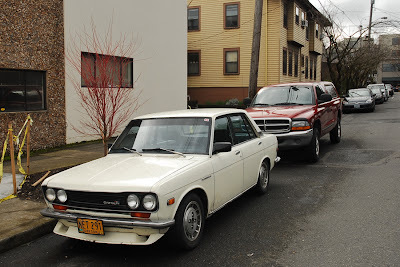 i want a 510 so bad it hurts, and four doors, please. great setting, too. is this... northwest industrial? acceptable wheels would be any 13- or 14-inch period design (libres, turbines, slot mags) with goodyear radial t/a's in the appropriate width and sidewall measurements. the airdam is great, may even be from the same era the car is from. OK, now i'll understand the line of the Nissan IDx concepts…available soon !